We’ve got some big news. 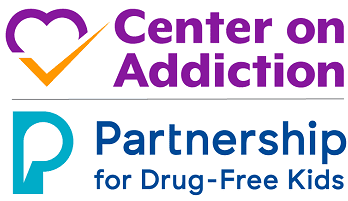 Partnership for Drug-Free Kids is thrilled to announce that we’re merging with Center on Addiction. As a Parent Coach with the Partnership and a mother of a son in recovery, I understand the difficult landscape that families face. In addition to feeling shamed, blamed and judged because of the stigma of addiction in our society, families are scared, confused and don’t know where to turn for guidance or help with treatment -– if access to quality treatment is even something available to your son or daughter. It’s an incredibly painful struggle, and one that no one should have to face alone. But if there has been a silver lining on my family’s journey, it’s been knowing that there are wonderful, empathetic people dedicated to helping treat addiction as a chronic illness and embrace parents and caregivers as part of the solution in helping their child heal. This is why I’m so excited about and grateful for this new organization, bringing together two complementary forces in our landscape. Together, we will combine our family-centric assets and their unparalleled legacy of research into the devastating impact of addiction, merging two organizations with deep history and commitment to changing the landscape on addiction. We’re going to do this by continuing to help families find customized support services, by working with healthcare systems to develop practices that work, by advocating for life-saving policy changes, and by changing the national conversation about addiction so that families will no longer feel ashamed to seek the care their child needs and deserves. I was fortunate to receive the help I needed in our broken system. I can’t explain how much it means to me knowing that we’re going to ensure more families will have the help they need to navigate this struggle, while working to fix the broken system itself. I’m excited for us to come together to transform how our nation addresses addiction. Families with insurance plans under the Affordable Care Act are not getting the benefits required by law for substance use treatment. My son is 29. He has been struggling with opioids. For many years he was drug free and then he broke his collar bone and spiralled out after being prescribed larg amounts of pain killers. He has come a long way but now faces sporadic rebounds. At this point in this life he needs a rehabilitative approach to getting back into the working world and emotionally handling the damage he’s caused to his own life. I see the great efforts he puts in trying to stay clean and move forward, but faced with depression and a lack of knowing how to successfully move forward. Can you please help.